Summer has once again arrived and between casual backpackers and serious adrenaline junkies, it’s the perfect time to scale bare rock faces and put all those hours of indoor training to good use. Before you start on your list of dream climbs and conquests this summer, it’s an absolute must to check all your equipment. The US Consumer Safety Product Safety Commission (CSPSC) has issued a warning for mountain climbers against using some rock climbing ropes by Porter Athletic. The said company, owned in part by Litania Sports Group, has undertaken a voluntary recall of model numbers 00118 and 00119 due to user complaints of fall hazards. These ropes, typically sold in lengths between 12 to 24 feet, have a tendency to slip through top clamps. Both models are made from soft, white Dacron; the latter model has rubber knots in specific intervals. The recall has been undertaken as a result of several complaints, with one consumer reported to have suffered injuries to his wrists and back. Porter Athletic further warns that said models have been sold by authorized distributors across the nation from September 2009 until 2011, for $387-$877. They are also contacting consumers with replacement or repairs at no cost. You may also visit their website at www.porterathletic.com for more details. Whether you’re looking for an exciting way to burn those extra calories or looking for that rush that only rock climbing can give, don’t forget that safety always comes first. 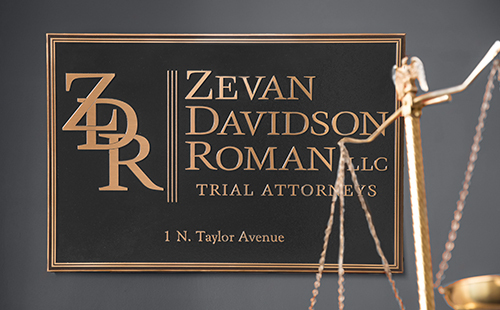 If you or someone you know has been injured due to faulty equipment contact the St. Louis product liability attorneys of the Zevan and Davidson Law Firm at (314) 588-7200. We represent victims in St. Louis, Missouri and Illinois who have been hurt by dangerous or defective products. Since 1991 we have recovered millions of dollars on behalf of our clients. Contact us for a free and private consultation.